Site-specific installation consisting of painters tape, dowel rods, and scrim fabric. 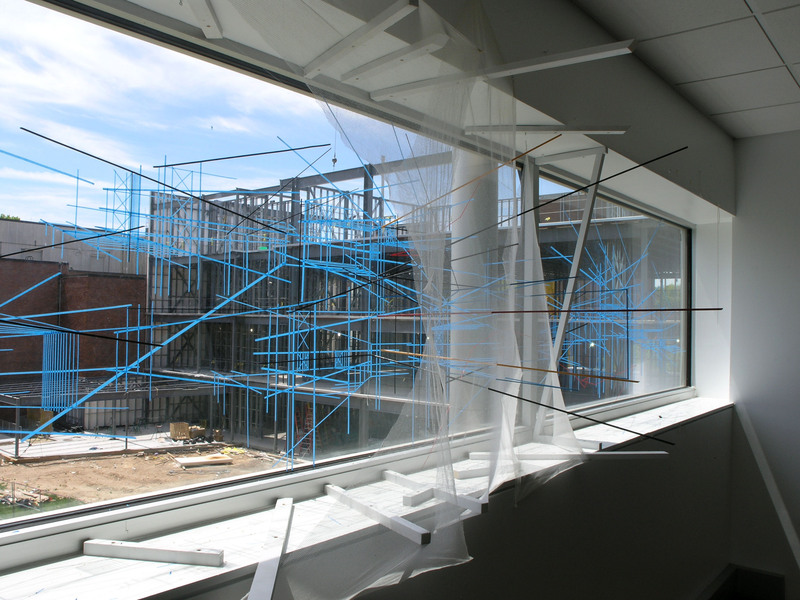 The piece was created in response to a building being constructed outside of my studio window. Over a period of several months I traced the developing structure with strips of blue tape, and then extended these lines into my studio with a series of painted dowel rods. 2011.